The PASC18 Organizing Team is pleased to invite organizations from industry and academia to take advantage of a range of exhibition and sponsorship opportunities for PASC18, and to announce that the deadline for poster submissions has been extended until February 11, 2018. The conference will be chaired by Prof. Florina Ciorba (University of Basel) and Prof. Erik Lindahl (Stockholm University, Sweden) and the technical program will feature keynotes, panels, paper presentations, minisymposia, and poster sessions. WHY SHOULD YOU SPONSOR OR EXHIBIT AT PASC18? PASC18 offers a great opportunity for your organization to gain visibility at a national and international level, to network with key leaders in the fields of HPC simulation and data science, and to showcase research and development. PASC18 builds on a successful history – with close to 400 attendees from 23 countries in 2017 – and continues to expand its program and international profile year on year. The PASC18 Conference provides a global platform for participants from academia, research labs and industry to discuss the state-of-the-art in high performance computing simulation and data science. PASC18 brings together researchers from diverse scientific fields including chemistry and materials science, life sciences, physics, climate and weather, solid earth dynamics, engineering, computer science and applied mathematics, and emerging application domains (e.g., social sciences, finance). The exhibition area will be located in the foyer on the 2nd floor of the Congress Center Basel, where the coffee breaks, lunches and poster reception will be held. Kindly contact info@pasc-conference.org to secure your exhibition space! 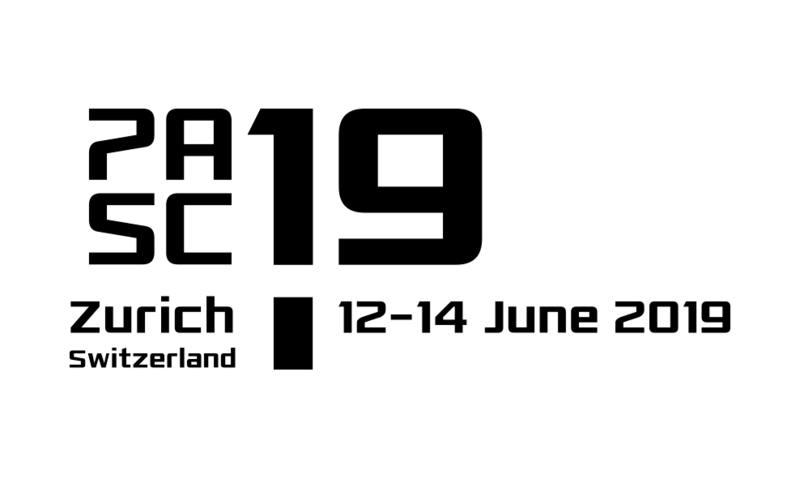 We are pleased to announce that the European collaborations BioExcel Centre of Excellence for Computational Biomolecular Research and E-CAM European Centre of Excellence, as well as the Swiss National Supercomputing Centre (ETH Zurich), and the Institute of Computational Science (Università della Svizzera italiana) are confirmed as exhibitors. A variety of sponsorship levels and packages are available for PASC18. Kindly contact Vittoria Rezzonico (vittoria.rezzonico@epfl.ch) to secure your sponsorship package! We thank the Paul Scherrer Institut (PSI), NCCR-MARVEL, and the Partnership for Advanced Computing in Europe (PRACE) for their support and look forward to discussing the above opportunities with you! We would like to inform you that the deadline for poster submissions has been extended to Sunday, February 11, 2018. We look forward to receiving your contributions through the online submissions portal.